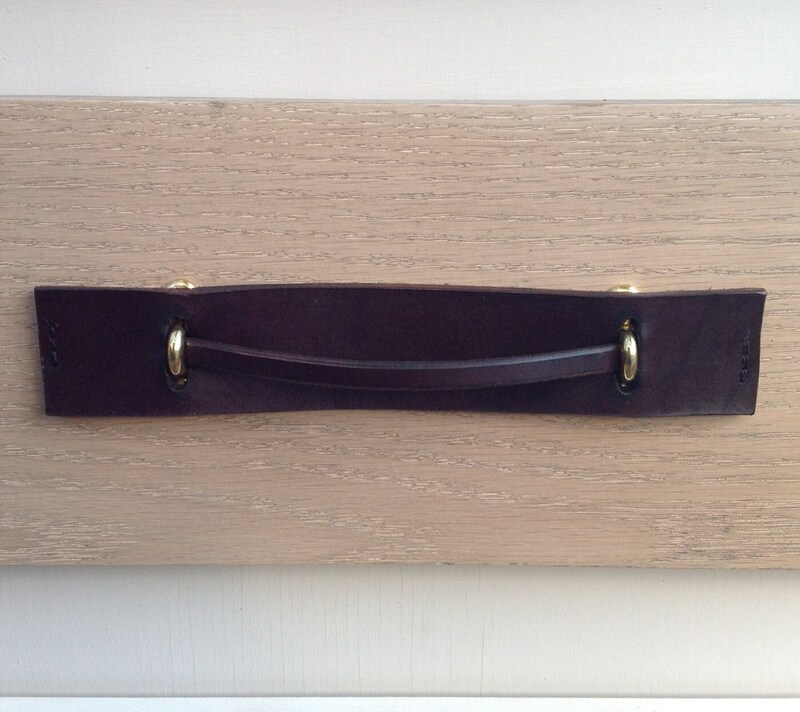 This drawer pull is made up of two pieces of hard leather. Ends are stitched flat. 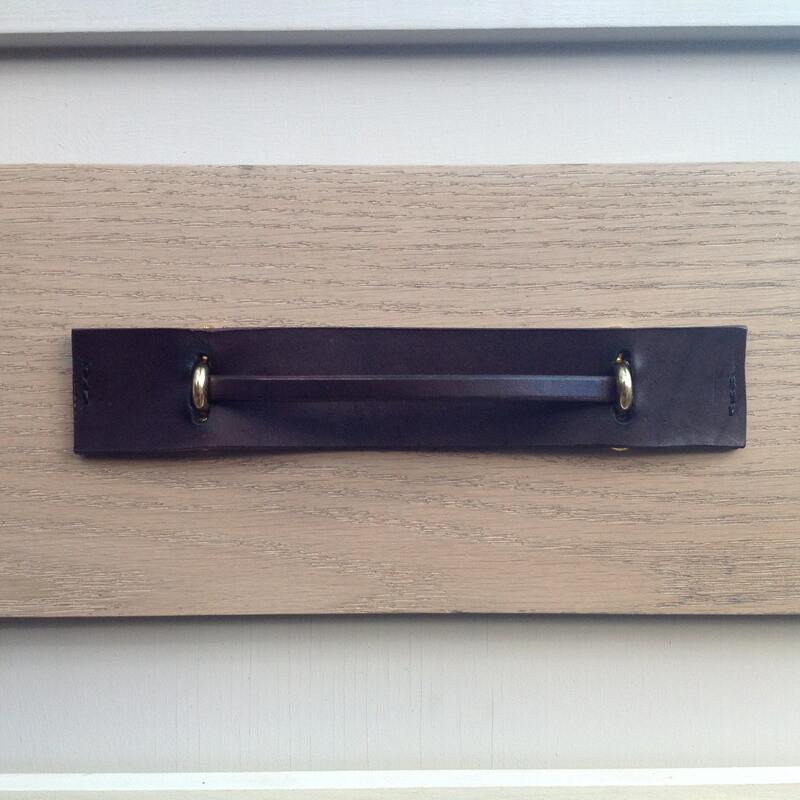 It comes with a set of brass brackets and 4 posts that are 1/2" long and slide into a 3/16" diameter hole. Each order includes a mounting template for accurate hole drilling. 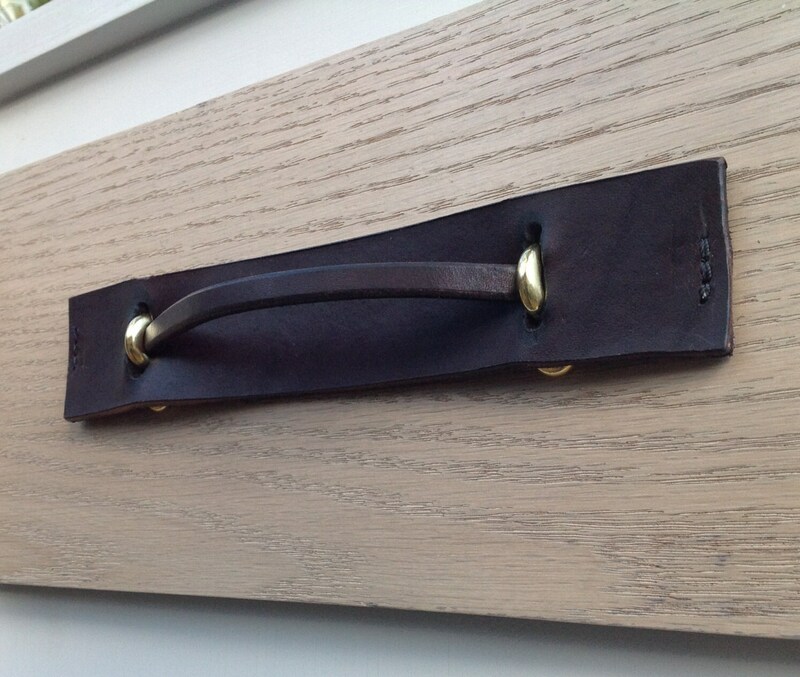 Leather handle is 5/16" wide And leather backing piece is 1-1/2" wide. 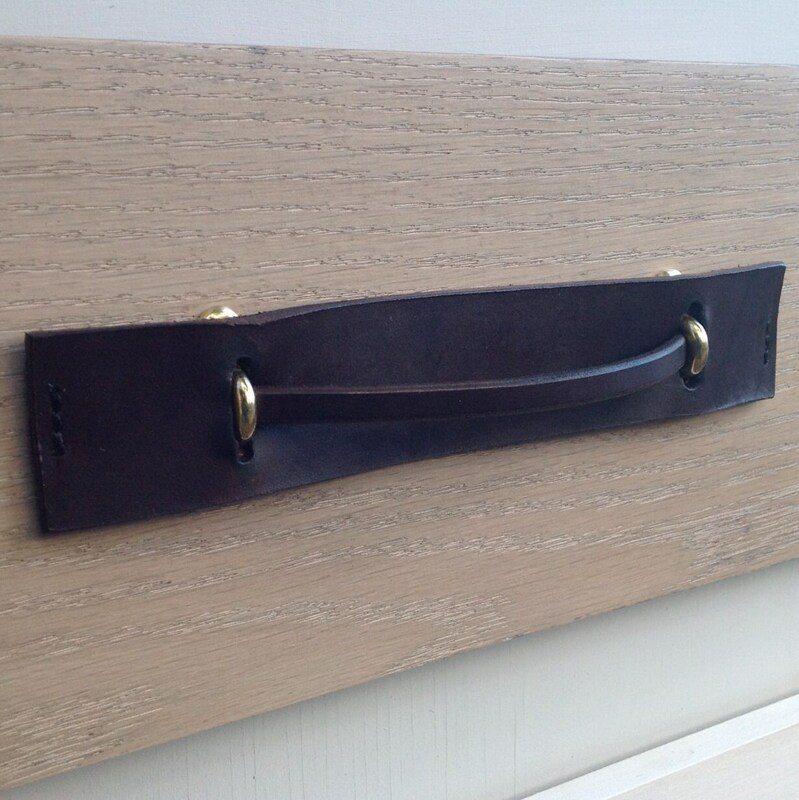 Lengths vary but leather extends 1-1/2" from brass brackets. Brackets are 1-1/2" total width and holes are 1-1/32" apart.